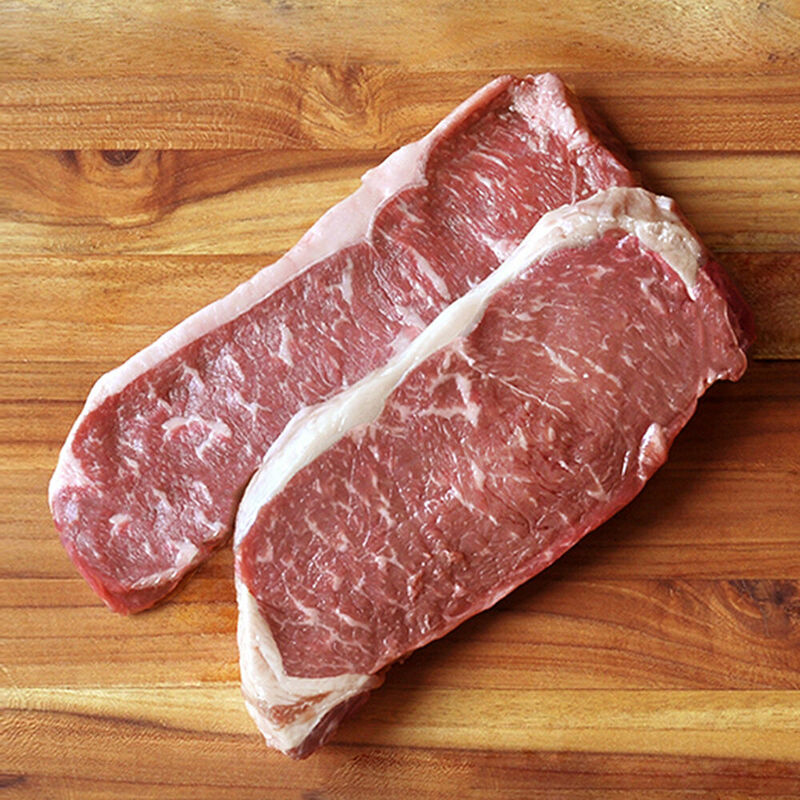 Part of our Corporate Gifts program, our duo of NY strip steaks makes a gift of great taste. The hand-cut boneless Angus beef striploin steaks are from cattle raised in humane conditions, on pasture, without any antibiotics or hormones. Conveniently packaged in a D'Artagnan gift box along with a brochure offering full instructions and a recipe for enjoying these juicy steaks, this is a great gift for a steak enthusiast.